Wow, what a piano! 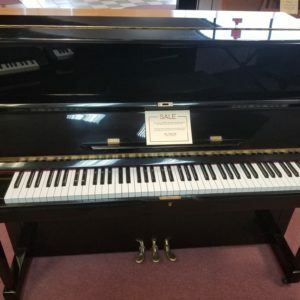 It is in the classic Steinway satin finish, has a soft and smooth action, mellow tone yet has the punch and growl you’d expect in such a fine piano. The Model M offers beautiful, concert sound in a convenient size. 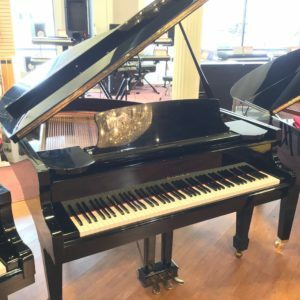 The most popular and well-rounded Steinway, the Model M is fashioned as the “Studio Grand” for your home. Measuring 5’7” in length, the Model M is ideal for smaller, more intimate spaces. 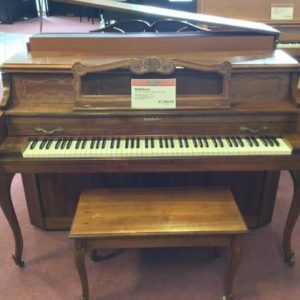 By designing a piano at this scale, Steinway & Sons envisioned the Model M for the home and specific institutional and professional uses where space is limited. 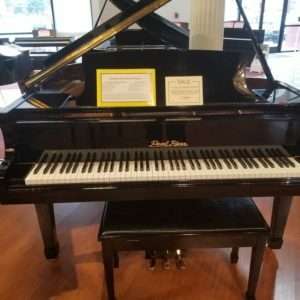 Yet, the Steinway quality of sound and performance is not sacrificed. The Model M is known for its range of tone, quick responsive action and power in a compact size.